We carry a large selection of solid-wood unfinished entertainment furniture such as wall units, TV and DVD cabinets, entertainment armoires, corner cabinets, stereo towers, DVD cases, CD cases and more. Our durable, well-made furniture is available in a variety of wood types, including alder, oak, acacia, aspen, maple, pine, parawood, birch and more. 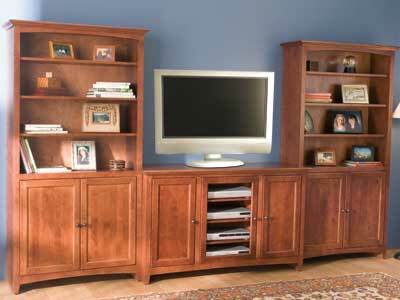 Let us help you find the perfect entertainment room furniture to fit your needs. Our unfinished wood furniture for entertainment rooms is offered in many styles and can be customized to match your décor.